my precious baby, originally uploaded by pinkyracer. That little loop is 231 miles, so instead I went back the way I came which was only 158 miles. 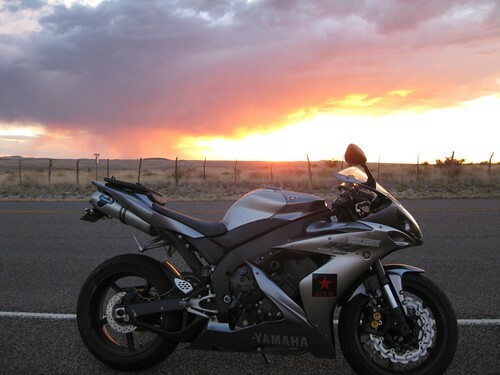 This entry is filed under Ride Reports, Travel and tagged Big Bend, Marfa, motorcycling, Texas, travel. love the pic – wow gorgeous sunset! !